Routers are getting more powerful and elaborate nowadays. What was once a device that a person would set up and then never pay any mind (except when he/she needed to reboot it), has become much more. Ostentatious designs with multiple external antennas are not just for performance, but they can also make wireless routers focal points of a room. For some consumers, these routers can even be seen as works of art. While appearance is obviously good for sales and marketing purposes, it can actually benefit some users too. After all, if a wireless router is put in, say, a living room, it is important that it looks attractive too. It really does matter. Today, Linksys finally begins taking pre-orders for a wireless router that we covered at the beginning of the year, called WRT32X. This router is quite intriguing for many reasons. For one, it is being listed as a "gaming" device, and thanks to the use of Killer Networking KPE technology, that could be more than just marketing. Another interesting aspect is the beautiful design -- it looks both angry and intimidating, and yes, that is a good thing. If this was put next to an Xbox or gaming PC, it would totally fit in. Most intriguing, however, is that theWRT32X is open source-friendly so you can flash alternative firmware, such as OpenWrt. "The WRT32X Wi-Fi Gaming Router, a CES 2017 Innovations Award Honoree, starts with enterprise grade hardware: 1.8 GHz Dual-Core ARM CPU, 802.11ac Wave 2 Dual-band 3x3 wireless radio, 256MB Flash and 512MB of DDR3 Memory, and 5-port SOHO-grade Gigabit Ethernet switch with TCAM. For the software, the core firmware level uses the latest stable Linux kernel version for a streamlined and lightweight code base with low latency as the top focus. The secret ingredient and key innovation is the integration of the Killer Prioritization Engine," says Linksys. 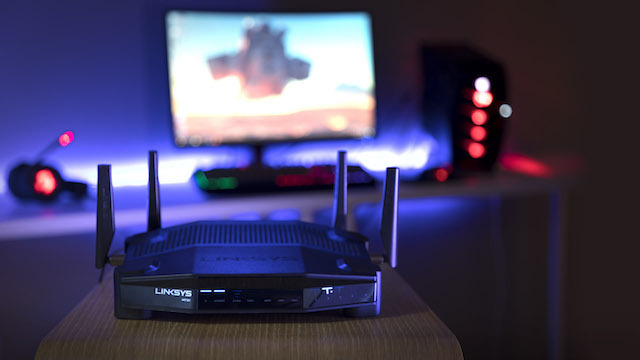 The company further says, "The KPE works in tandem with Killer-enabled computers to prioritize important gaming and video networking traffic above other devices in the home. When a user starts a game, the Killer hardware on the PC communicates with the router and tells the router to treat the gaming packets special and with high priority. If the network is bogged down from other users, the WRT32X is able to keep the gameplay fast and smooth because it prioritizes the Killer game traffic above other traffic in the home. Conversely, the PC also communicates to the router when a less important activity is taking place (like a download) so that the router won’t let the download impact the Internet experience of other users in the home." Linksys shares the following WRT32X specifications. While the WRT32X gaming router will not ship until September 21, you can pre-order it immediately from Amazon, Best Buy, or Linksys directly. Once it officially launches, it can be had at additional retailers, such as Newegg, Target, and more. How much will it cost? 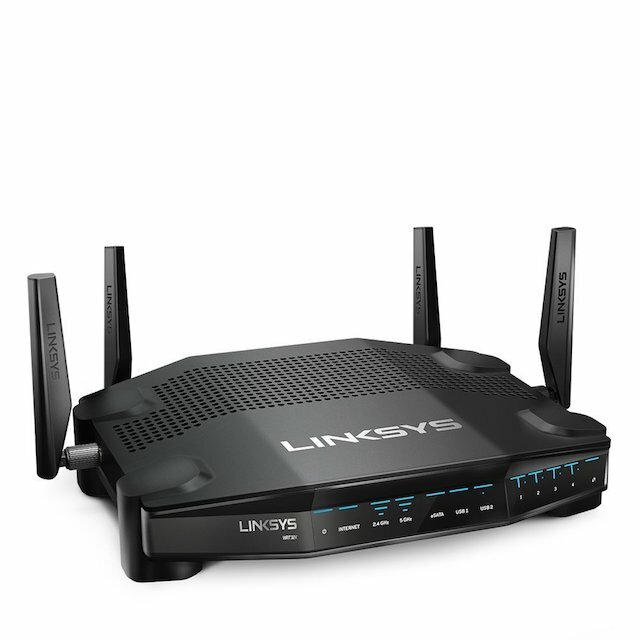 The router will sell for $299 which is rather reasonable given the specs, features, and legendary Linksys quality. What do you think about the concept of a "gaming" router? Please tell me in the comments below.